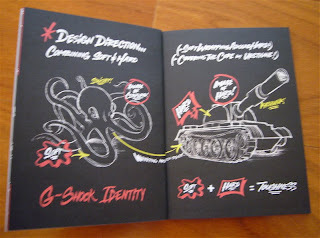 I finally got the Casio G-Shock Frank collaboration booklet. 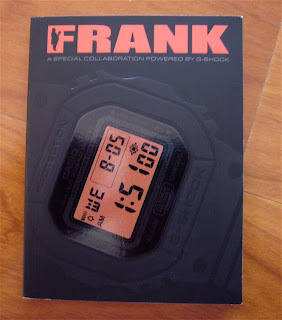 This booklet is a collaboration between Frank 151 Media Group and Casio G-Shock. 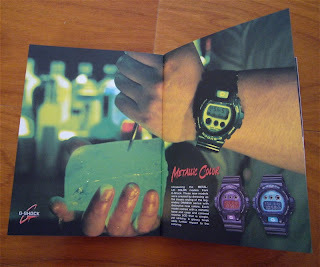 This booklet is important as it is one of the few English books on Casio G-Shock. 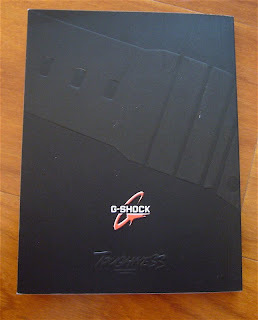 I got this book from the G-Factory in the Kuala Lumpur City Center (KLCC) G-Shock Factory in Isetan. Unlike here in Taiwan, where you only get the booklet if you buy one of the collaboration watch, the G-Factory was just giving it away. For those in Malaysia (Kuala Lumpur specific), there are still 5 more of the booklets at the G-Factory. Anyway, on to the booklet. It is a small booklet, measuring at 107 x 140 mm. It is 5 mm thick. It has 64 pages (covers not included) and is packed with information. 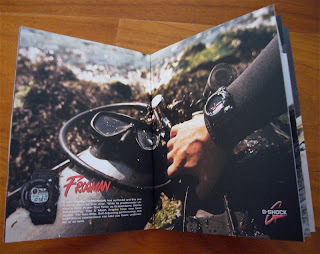 Inside the front and back covers you will find a sample of G-Shocks that Casio has produced since 1983 up to 2009. That in itself is pretty cool. 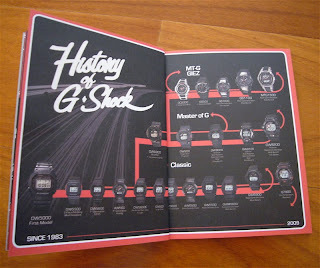 There is also a 'History of G-Shock' and shows the development of the different series over the years. 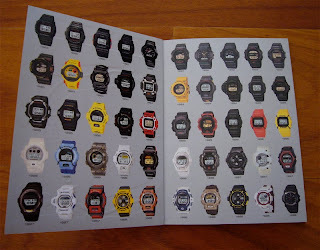 The first few pages covers the technical aspect of the G-Shock watches, its design concept and the technology behind the watch. It is basic but informative. 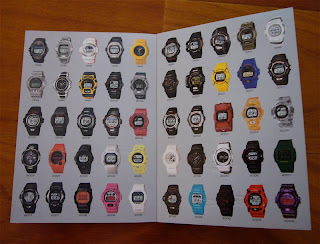 The booklet is littered with pictures of the current G-Shock models, e.g. Riseman, Frogman, Gulfman and series like the Military and Metallic colour. Interspersed are interviews with people that Casio have collaborated with. The main interviews are with the 3 latest collaboration, Mr. Cartoon, Redman and Todd Jordan. Other interviewee includes Steve Williams, Gabe King, Union, Fight Club and Frank's Chop Shop. Overall it is a nice booklet. 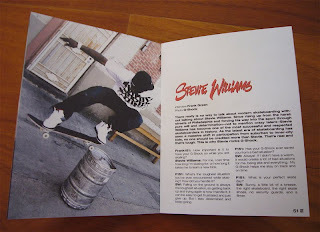 The quality of the booklet can be seen. The front cover is especially nice, with the embossed DW-5600 splashed across the front and back of the booklet. 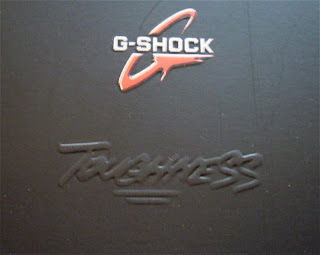 On the back cover, you have the word 'Toughness' embossed, just below the Casio G-Shock logo. I like it.